Thanks to the very generous people at Silver Travel Advisor and Simpson Travel, we’ve just spent an amazing week in Western Crete at the GK Beach Hotel. As you know, I’m a keen comper and I always have my suitcase packed for my next trip, so I was able to combine my travel experience with my comping hobby by adding several reviews onto the Silver Trip Advisor website and I ended up bagging this wonderful prize. First thing first. Let me tell you about the first class pre-departure service we received from Simpson Travel. A personal booking service, the offer of car hire or private transfer to our hotel, a generous 20kg luggage allowance each, proper luggage labels and meet and greet at Chania airport on arrival with a cool bottle of water. On arrival at GK Beach we were met by Chris and Sev, our Simpson Travel reps who showed us personally to our junior suite (room 1A) and gave us a run down of the facilities. It was fabulous to have such a personal touch. Simpson Travel also provided us with a gift of Cretan honey, lavender oil and some oregano (handy for those Greek salads). As we were on a B&B basis, they also provided a very generous 50 euro voucher towards dinner and drinks at the hotel. The hotel is small and friendly. All the communal space is outdoor and is, in the main, shared with the general public (with the exception of the pool and certain designated sitting areas and sunbeds for Simpson Travel guests only). Our room was bright and spacious with a mini kitchen area so we were able to knock up a quick lunch…..well, until, that is we discovered the village bakery at Kalyves, then it was pies all the way (spinach, feta, potato and burger!). Breakfast was an absolute delight and included Greek yoghurt, thyme honey from the owner’s hives, feta cheese, a selection of fruit and veg, a cooked selection (eggs, bacon etc), pastries, excellent quality coffee, freshly squeezed orange juice, PG Tips, and the yummiest sourdough bread. The location of GK Beach couldn’t be better. It is right on the beach, five minutes to the local supermarket and 20 minutes walk to the centre of Kalyves with its many tavernas and shops (oh and the aforementioned bakery). We dined at GK a couple of evenings. The food is fresh and made to order. We both had this very tasty sea bream. 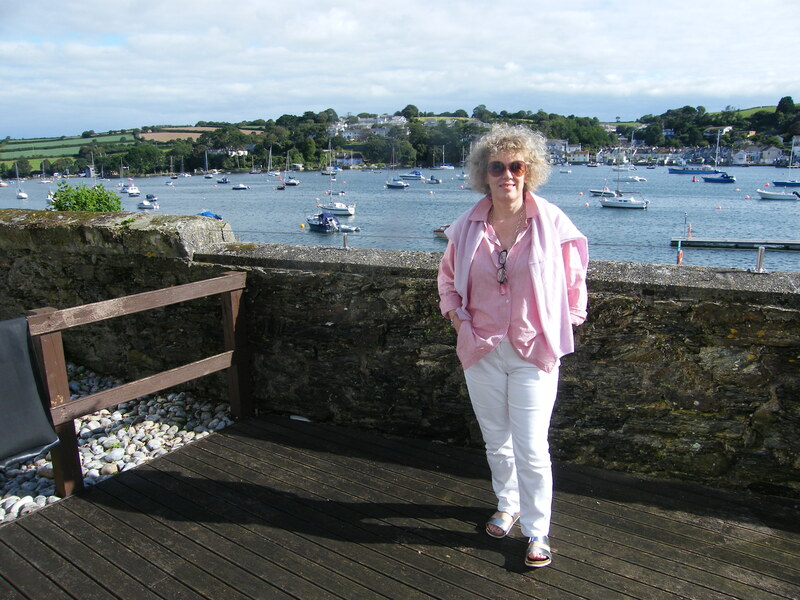 We spent our days walking into the town which has a lovely little harbour, mooching about and generally doing nothing. There is of course much to see in and around the Souda Bay area, but as we are in the process of moving house, we just wanted to chill out. The evenings we didn’t spend at the hotel, we tried some of the local tavernas. In Provlita, right on the seafront, I had the most delicious lamb chops I have ever tasted in my life. The Greek salad served there was a jewelled masterpiece too! My favourite thing to do the whole week, was to sit under this tree in the main square in Kalyves, reading my book, and drinking coffee. We had a fabulous break! Thanks so much to Silver Travel Adviser and Simpson Travel for such a wonderful experience. Crete has worked its magic on us. We submitted to the gentle pace of life and have come home refreshed and ready to move house! 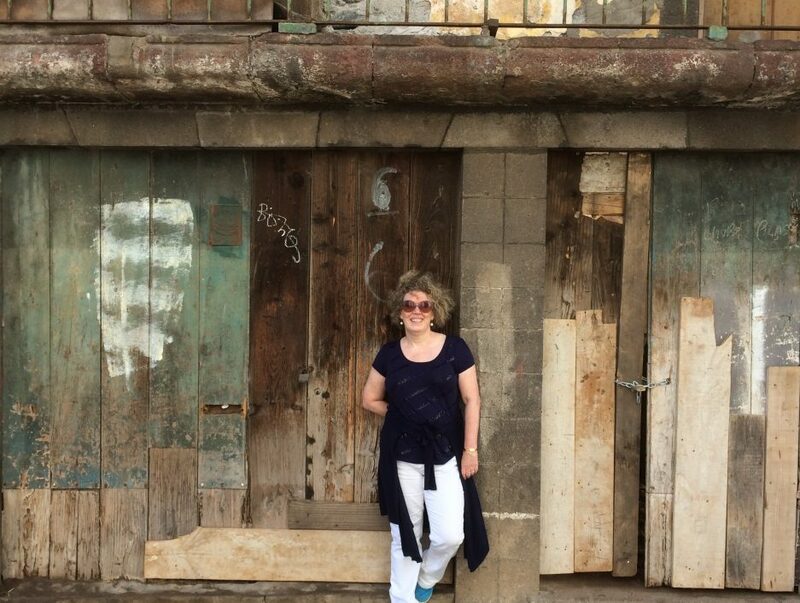 If you were to ask me what my ideal city break involved, it would go something like this: fabulous architecture, amazing history, a river running through it, a strong sense of identity, foodie heaven, cute coffee houses and quirky shops. Well, Zurich has all of these things in abundance. In fact, it is so pretty I’ve had difficulty in choosing photos for the blog as the temptation to just photo-bomb you with pretty squares is huge! On top of that, we are in the run up to Christmas, so the city’s festive vibe (think hot chocolate, sheepskin seat covers in outdoor cafes, sparkly window displays) only enhanced the experience! Not only did my Lonely Planet competition win include flights with Swiss Air and a fabulous stay at the Atlantis by Giardino, we were also given a Zurich City Pass which gave us 72 hours free transport in and around the city. Steve is drawn to water so the first thing we did was jump on a boat for a lake tour. The autumn colours were breath-taking! The trip takes one and a half hours and is free with the Zurich card. The city is right on the waterfront, so it was only a short hop into town to see the Fraumunster and its amazing Chagall windows. We were very lucky to have popped into the cathedral just as an orchestra was rehearsing for that night’s performance of one of Bach’s cello suites, so we took a pew (literally) and enjoyed the music. Next was a coffee shop recommended by the hotel: Schobers. It’s like a winter wonderland in there, with the most amazing cash register I’ve ever seen. There are squares in abundance, each with multi coloured buildings that are just so typically European. We visited the very grand Metropol Café, famously frequented by Albert Einstein, who, it is said, developed his revolutionary theories in the early 1900s whilst sitting here with a drink. Just look at those impressive columns. We also enjoyed a hot chocolate in café Odeon, where, in the first half of the century, writers, artists and intellectuals would hang out to discuss politics and culture. The décor is grand and the place just oozes history. One of the prettiest areas is the Fisherman’s district where long, low houses lie along the water’s edge. This district is crammed with antique shops and individual boutiques. Split across both sides of the river Limmat, the city is ideal for a city break because it is easily covered on foot. The architecture is a real mix of traditional and modern, with some lovely old squares having quite unusual pieces of art. You didn’t have to look far for traditional houses though, many with flowers spilling over the balconies. This was such a beautiful place to visit in the run up to Christmas. I’ll leave you with a photo of this fountain in one of the many impossibly pretty squares. My bathroom needed an update and bearing in mind what’s been going on in my life lately I decided to go for something unashamedly girly (sorry Steve) and uplifting. The quote ‘Make Your Dreams Happen’ refers to my desire to get on with my travel wish list which includes Marrakesh, Iceland, Berlin and Budapest. The tutu reflects my wish to see Swan Lake. All of these things will be achieved I can assure you! In the meantime, I think the bathroom is looking pretty swish don’t you? 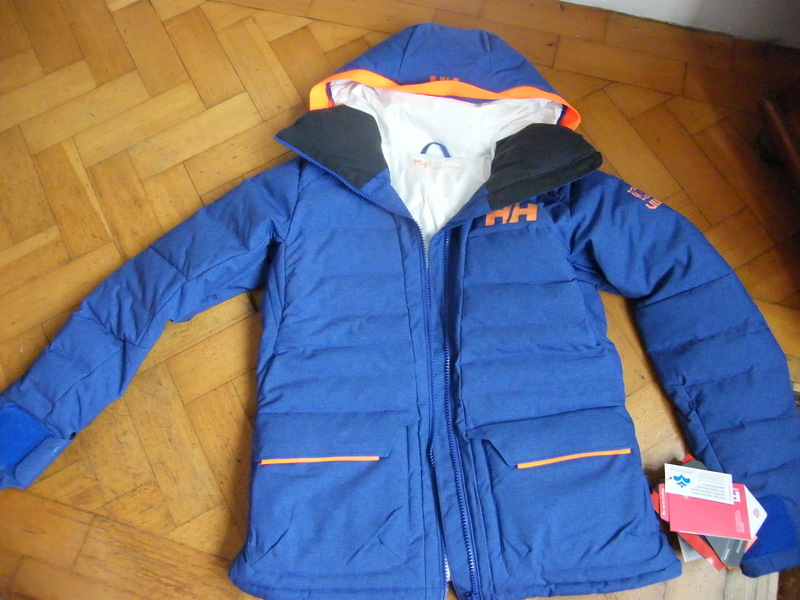 A year ago I entered a competition to name Helly Hanson’s latest jacket. I chose ‘Cordelia’ as she is a Welsh Goddess (not unlike myself, ha ha) whose motto is ‘Go Outside’. The prize was the jacket itself, as soon as the design hit the shops, which it did last week. As you can see it’s extremely thick and snuggly and I’m waiting for some wintery weather to give it an outing. It retails for around £300 if you want to treat yourself. Now ….if I could win a week in Finland staying in a log cabin, with husky sledding thrown in, that would be perfect! I just had to share my latest win with you because I’m so delighted to be the proud owner of a pair of Charlotte Olympia heels. This was a competition with Manchester Confidential and Harvey Nicholls Manchester. They really are beautiful shoes and the first pair of designer heels to be in my life! I teetered across the living room in them yesterday and can confirm they are most definitely taxi shoes, but who cares! I love unusual shoes and have quite a collection, including some great buys picked up in charity shops. I’m not proud – if the shoe fits, and it’s beautiful, I’ll wear it. As you know, I’m a competition lover, a hobby I started when I was poorly and with time on my hands. Now, I’m so much better, and busier, but the comping bug is still alive and kicking. I don’t have the time to enter quite as many these days, but can’t resist comps for holidays, fashion, beauty and foodie things. It makes life interesting when the postman knocks with a parcel of goodies that you were not expecting. 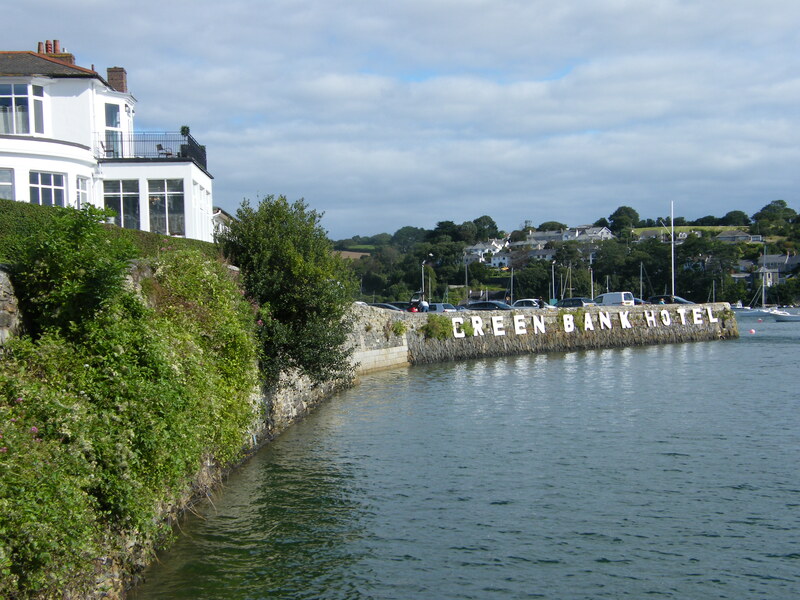 Thank you Gransnet for picking me as the winner of a two night break at the lovely Greenbank Hotel in Falmouth. Set right on the waterfront, this hotel dates back to the 17th century and has a reputation for great food. Indeed the food was absolutely delicious and the view from the restaurant was to die for. 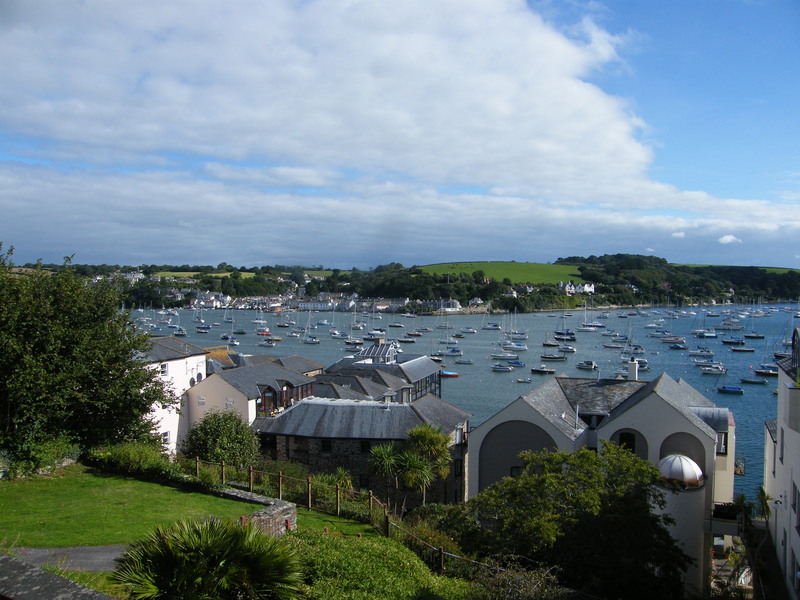 Never one to miss an opportunity for a holiday, we extended our break with an extra night so that we could explore Falmouth properly. It’s a bustling seaside town and there’s loads going on with plenty of opportunity for eating, shopping, sightseeing and walking. 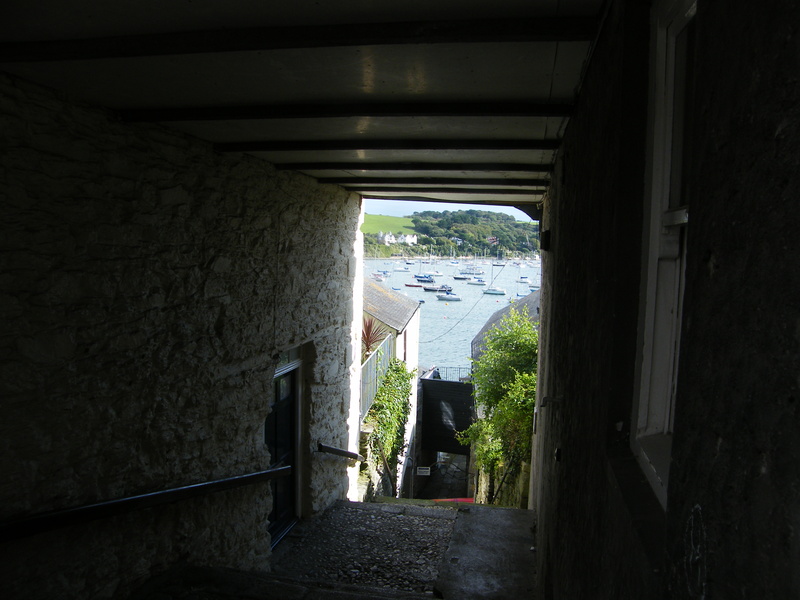 The town has a naval history and there are lots of hidey holes and steps down to the harbour where you can imagine all sorts of mischief going on in times gone by. Our favourite place to eat in town was the recently refurbished Star and Garter. 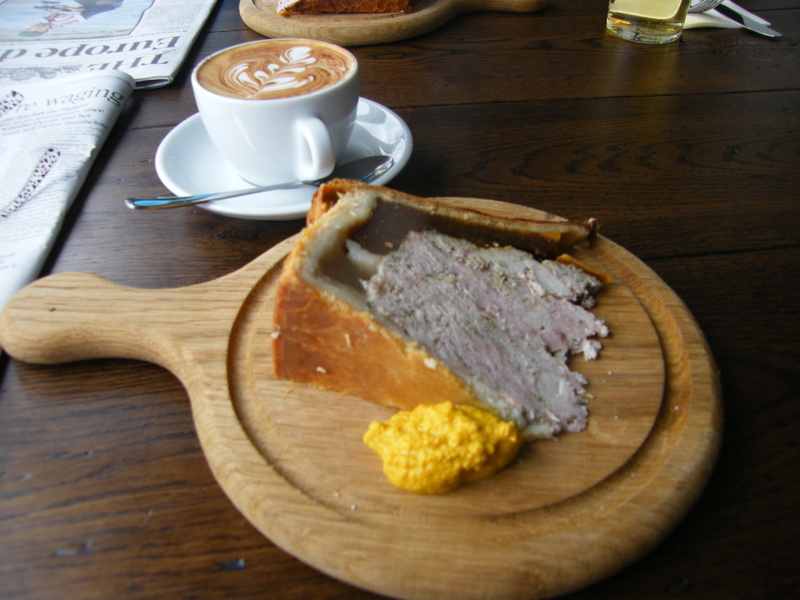 This unassuming pub serves up first class food, all made on the premises, including this huge slab of pork pie! We were also treated to first class train travel on First Great Western, which was perfect as it’s a good few hours by train from Chester and we appreciated travelling in comfort. So, thank you Gransnet!